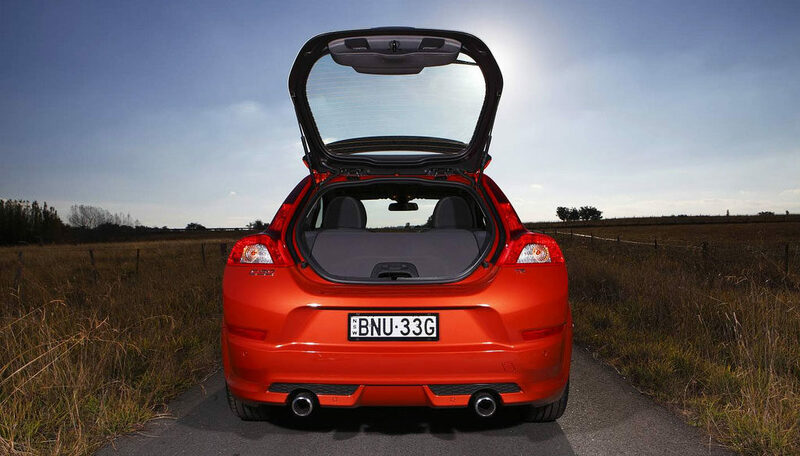 The Volvo C30 was a step away from the company’s typical goals of safety and practicality. It was safe, but also quick, dainty, and – at times - inconvenient. It didn't sell well. What went wrong? The Volvo C30 was a short-lived jaunt from the company’s normal goal of safety and practicality. It was safe, to be sure, but when compared to Volvo’s fleet of other vehicles, the C30 was quick, dainty, and – at times – inconvenient. With 227HP and 236 ft-lbs of torque, Volvo designed the C30 to be fun and sporty, going so far as calling it a sports coupé, which while technically the C30 might fall under that moniker, is a stretch. It’s much more similar to other premium hatches like the Volkswagen GTI, Mercedes A Class, and Audi A3. Despite its eye-catching looks and respectable power, sales of the C30 never really took off and Volvo only manufactured the vehicle from 2008 to 2013. Did the C30 deserve its fast demise? Today, let’s run through what made this car unique and why Volvo pulled the plug after just a handful of years. We can trace the C30’s roots all the way back to Volvo’s Safety Concept Car introduced at the 2001 Detroit Auto Show (See image above. You thought it was a C30, didn’t you?) Volvo’s vision for the future embodied in this concept car was actually pretty spot-on, with almost all manufacturers incorporating many of the SCC’s features years down the road: collision warning, heads-up display, safety cameras, dynamic headlights, cell phone integration, and blind spot monitors. What we’re interested in today though, is the SCC’s body style – a sleek 3-door hatch with an all-glass rear door. Again, take a look at the picture above– what other Volvos does it look like? If you answered with the P1800, 480, and/or C30 – you’re right! 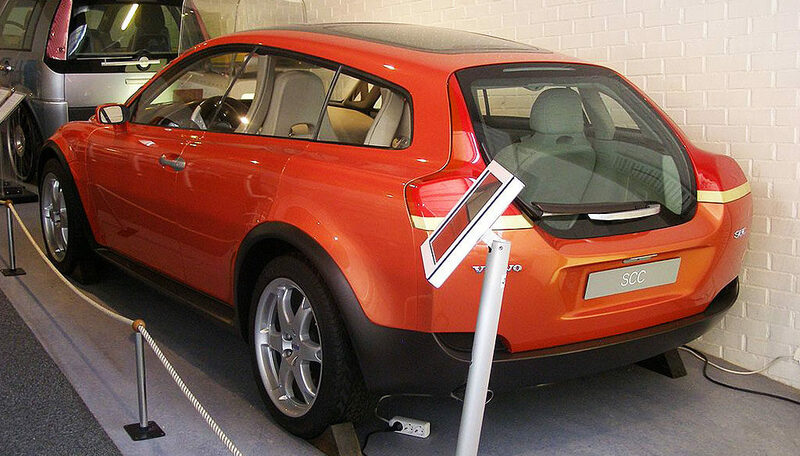 Volvo loves that all-glass hatch and has used it several times through the years. First up was on Volvo’s classic P1800 ES (pictured below), the last P1800 model introduced in 1972. This classic informed the design of the Volvo 480 in the late 1980s, then the SCC, and finally to the C30. The C30’s styling nods to decades of Volvo design, allowing the automaker’s heritage to inform, but certainly not overwhelm, the C30’s aesthetic. While the body is quite dissimilar to other Volvo models of the day, the C30 is based on the S40 and underneath they look pretty much the same. While Volvo manufactured the C30 in 5-cylinder, 4-cylinder, and diesel versions, over its short life Volvo only offered the C30 in the US paired with their turboed 5 cylinder. Volvo left the C30’s shell largely unchanged compared to the original concept car, sporting eye-catching teardrop brake lights, smooth lines along the top and sides, and of course that handsome back window/hatch. Drivers were treated to a clean, modern interior, but cramped and inaccessible back seats and storage. Volvo debuts the C30 in Europe. Volvo debuts the C30 in the US market in late 2007. As opposed to the European model, the US version is only offered with the 5 cylinder, 2.5 liter turbo engine. The C30 enjoyed good acceleration, jumping from 0 to 60 in just 6.6 seconds. Of course, the Volvo C30 boasted all the safety features we’ve come to expect from Volvo, including air bags all over, 4-wheel antilock brakes, traction control, and emergency braking assist. The 2008 model boasted two trim levels, Version 1.0 and Version 2.0, with the latter enjoying alloy trim on the doors and dash, a premium sound system, and bigger rims. Later in Model Year 2008, Volvo added a new R-Design trim level (which they would subsequently continue for the car’s remaining years), featuring new badges, trim and interior accents, as well as four new exterior colors and new, sporty body kit (including lower body skirts and a rear spoiler). While the car was fairly well-equipped, the 2008 model was missing some key features, like fog lights and cruise control, that Volvo added the following year. Very little changed from the 2008 to 2009 model. Volvo dropped the Version 1.0 and 2.0 monikers, instead simplifying to just a base model (in essence, the 1.0) and R-Design (2.0). In regards to aesthetics, the Volvo badge on the back moved from the door handle to the window. In the way of practicality, Volvo added fog lights to the front and cruise control to the R-Design package. For the 2010 Model Year, Volvo continued to offer the standard and R-Design options, both of which now included hands-free Bluetooth and a trip computer. Model Year 2011 (MY 2010 in Europe) saw the biggest facelift of the C30 since its inception. The front now sported slicked-back, more aggressive headlights and grille, with a larger badge in the center – conjuring up images of aerodynamics and speed (see comparison below). Volvo also slightly redesigned the rear as well, with the bumper more visually integrated into the body and the entire look a bit sportier to match the front. For 2011, the R-Design model enjoyed a suspension upgrade, with firmer springs and shock absorbers as well as a lower steering ratio for faster, more pinpoint turning. With Volvo heavily updating the C30 the previous year, MY 2012 held little surprises. Bluetooth and audio streaming now came standard and Volvo introduced two new trim levels, Premier Plus and Platinum. Premier Plus included LED running lights, power seats, and a sunroof, while Platinum added a premium sound system, satellite radio, and on-board navigation. As in previous years, Volvo left the engine and drivetrain untouched. 2013 brought a couple new trinkets to the C30, namely rain-sensing windshield wipers and headlight washers, but with sales falling slowly since hitting its peak in 2008, Volvo decided to discontinue the C30 after the 2013 year. Before killing off the C30 completely though, Volvo gave us a parting gift: the Polestar C30. While the engine and drivetrain remained the same, Volvo’s in-house tuning depot Polestar tuned the engine to increase the horsepower to 250HP (+23HP over the standard models) and torque to 273 lb-ft (+37 lb-ft). Volvo then slapped on a new coat of paint and a few special badges and, after jacking up the price, imported just a few hundred into the states. Fun fact: If you’re looking for a few extra ponies out of your C30 (or other select models), you can actually have your Volvo dealer tune your engine to the Polestar standard! While the 2012 C30 is a fun car to drive, it delivers more style than substance. It steers nicely, but the handling doesn’t quite match up with the C30’s sporty looks. The R-Design’s sport suspension takes care of that department though, with 30-percent stiffer springs, firmer shocks, and a 10 percent quicker steering ratio. Once you’re used to the steering, throw it into a corner. I mean really throw it. You’ll be greeted by an unwillingness to turn that can only be rivaled by Margaret Thatcher. Understeer is the default, and only, setting for the C30. It’s a tough car to drive fast, just because it isn’t communicating to you through the wheel…. The driving part of the Polestar, a car I’d been looking forward to for months, was a let down. That really disappointed me. The inside of the Volvo C30 is equally mixed. The cabin is beautiful and sleek, but depending on the reviewer, the backseats and rear storage are either simply adequate or incredibly too small. Driving the car is very fun. It has essentially the same motor my 850 Turbo has, just with more modern software and a lot less weight to lug around. Pick up is very good in the car. The turbo lag isn’t that bad either! It has plenty of power to merge/pass on the freeway and really is a blast to drive. But the worst problem by a mile is the backseat. What’s the problem you may ask? It is utterly useless. You either have to be a small child or an incredibly small adult (5’4 or less) to actually fit back there. The entrance and exit from the rear seat is awkward and complicated. Volvo would have saved a lot of weight and money just getting rid of the back seat entirely. Aside from that, the interior is a well finished product. Typically Volvo. Very well built and thoughtfully laid out. Even the most distinctive facet of the vehicle – the back window/hatch – is either what you drew you to the car and made you want it, or what made you to stick out your tongue in disgust. 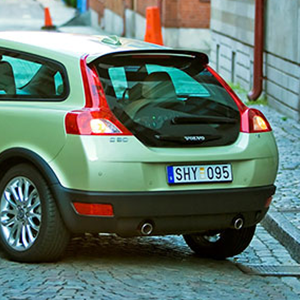 In two words, the C30 is idiosyncratic and polarizing. But it was never meant to sit in the corner quietly – it’s designed and built to grab your attention and hold it – whether you’re on the outside looking in or sitting in the driver’s seat. In two words, the C30 is idiosyncratic and polarizing. But it was never meant to sit in the corner quietly – it’s designed and built to grab your attention and hold it – whether you’re on the outside looking in or sitting in the driver’s seat. Whether or not you actually like the vehicle that is grabbing your attention though, is completely up to you. What Happened to the C30? In the end, the C30’s downfall was its price point and, possibly, the simple fact that it was a Volvo. Let’s take a look at cost first. For what you got, the price was quite high. Back in 2013, a C30 with the middle-of-the-road Premier package cost $27,100. That price put it higher than the ever-popular and well-received GTI’s starting price of $23,995 and on part with the Subaru WRX’s $29,295 and the Audi A3’s $28,750 price tag. But compared to these vehicles, the Volvo suffered from inferior handling, power, and/or practicality. And while some may not like this idea, with hot hatches being so popular among younger demographics, what speed-loving, ultra-slick youngster would jump to safe, reliable Volvo for their hot hatch, instead of Subaru or VW? It’s completely conjecture, but that the C30 was in fact a Volvo might have, at least in part, drove the final nail. It’s completely conjecture, but that the C30 was in fact a Volvo might have, at least in part, drove the final nail. All this to say, the C30 was somewhat doomed from the start. Too expensive for the masses, but not quite performance-oriented enough for those in the market for a premium sporty hatch. Sure, they look great and are fun to punch the pedal on, but with the high price and/or less-than-stellar handling, drivers simply weren’t interested. Have a Volvo C30 Problem? If you do have a Volvo C30, we’ve got plenty of resources to help you out! First, check out the Volvo C30 Forum. If you’re looking for specific info, try searching the forum, as there’s so much out there it can be hard to sift through it all efficiently. Still can’t find what you’re looking for? Why not just join the forum (it’s free of course) and ask! Also check out our Volvo Repair Database, where we have almost 50 articles on C30 repair and maintenance. Get out there and start reading! Volvo’s C30 was a short-lived jaunt from the company’s normal goal of safety and practicality. It was safe, to be sure, but when compared to Volvo’s fleet of other vehicles, the C30 was quick, dainty, and – at times – inconvenient. You can’t say anything bad enough for my to loose my LOVE AFFAIR with my little TANK. I’ve had this car for ten years and it is the most fun, reliable, aesthetically pleasing fun to drive car. It’s only problem is it gets too many compliments. It’s comfortable and visibility is great and I can haul a lot of junk in the back and it promotes weight loss in my friends as well, who are unable to squeeze themselves into the back seat. Once they are IN, they are ok. They can barely get out but who cares. They are so privileged to get to ride in my little C30.